The following photo was taken on the closing day of Highland Ski / Snow Boarding Area. The temperature on that day was close to 70 degree, and snow on the ground was partially melting. The area was empty with very few people paddling in the mixture of snow / water. Apparently it was Off-Season for most of skiers. Then I noticed this young boy who made a scarf around his head using his shirt, he was enjoying boarding so much that he completely ignored the splash of water each time he was racing down hill. 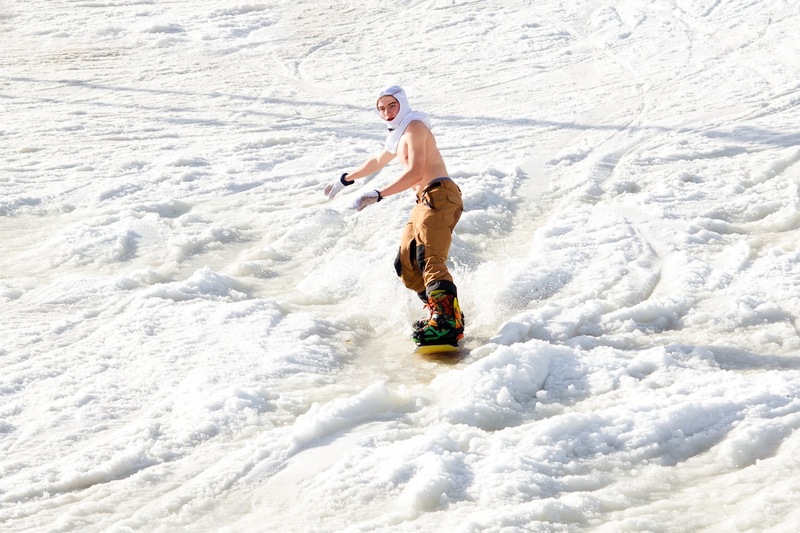 It was the first time for me to view somebody “snow”boarding in summer style. I got opportunities to capture some shots, but never had chance to show him the pictures. Next postIs It really ODD?